Born into a noble family in southern Italy around 1225, Thomas was a very bright young man with a bright future before him. 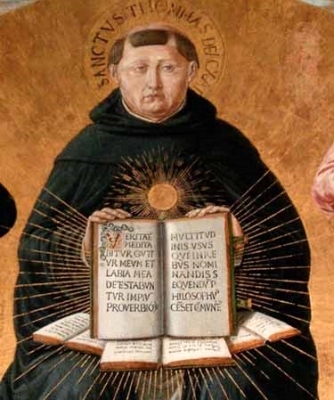 So when he made his intentions to become a poor friar were made known to his parents, they did everything they could to convince him otherwise. When their pleas and arguments failed, they even resorted to a house arrest that lasted nearly a year and a half. 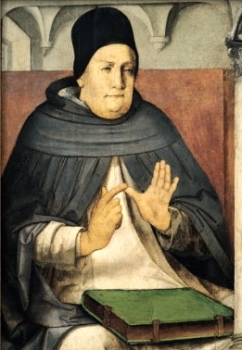 At first opportunity, Thomas nevertheless left home and his promising career and family wealth behind for the Dominican order. 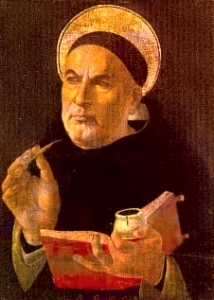 Thomas used his intelligence for the will of God, studying in Paris and Cologne before himself becoming a teacher in Paris. 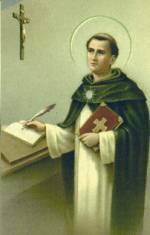 Saint Thomas Aquinas' writings and teachings have stood the test of time and are used still today as a cornerstone of the Catholic faith. 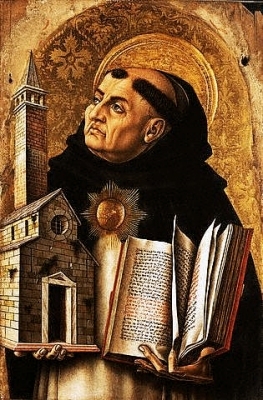 For his academic achievements, Saint Thomas Aquinas is known as a patron saint of publishers, schools and students.